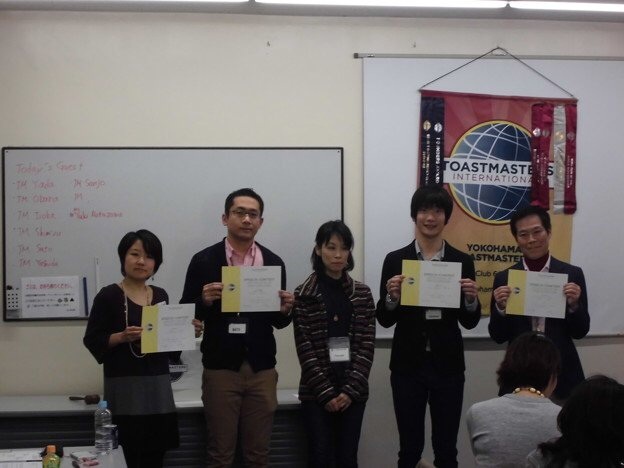 The YTMC meeting # 592 was held on 21st March. Though it is the holiday -　Spring Equinox Day -, there were not so many attendants. Luckily we had three guests. The meeting was so energetic to cover some absentees. Especially, some of officers took double and triple roles. As TMOD, I was really touched by their efforts and supports. Another moment I impressed a lot was TM T. S’s workshop. 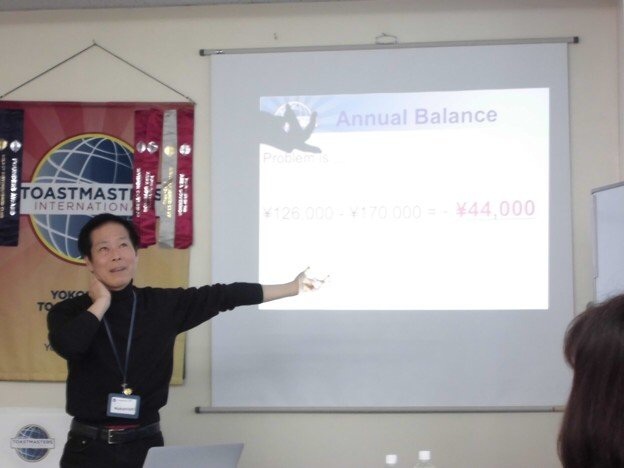 Following the TM T. N’s workshop at the previous meeting to introduce his role as Treasurer and bring up an issue of the fund of YTMC, TM T. S delivered his speech related his role as VP Public Relations. During his workshop, we are divided into two groups and discussed how to recruit our new members. The discussion was heated up and even guests positively gave comments. It is nice to know what our officers are doing for us. The meeting was wrapped up on time. It was successful Thank you, all participants for your active commitments If I give one comment, I hope to see as many members as possible at the next time! 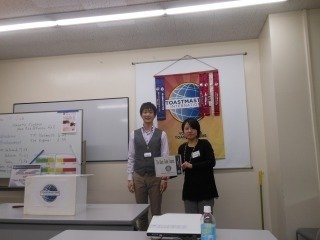 Yokohama Toastmasters Club regular meeting #591 was held on March 7th. 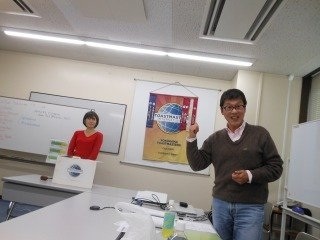 After long time, three session of TM Tips, Joke, and Table Topics wase held. should consider with much time. I hope many people attend the next contest, and enjoy it. It is my first time to take TMOD in this term. We have Area 42 Contest on March 1st. 4 members are representatives of YTMC. VPE set the contest speech practice session for contestants. 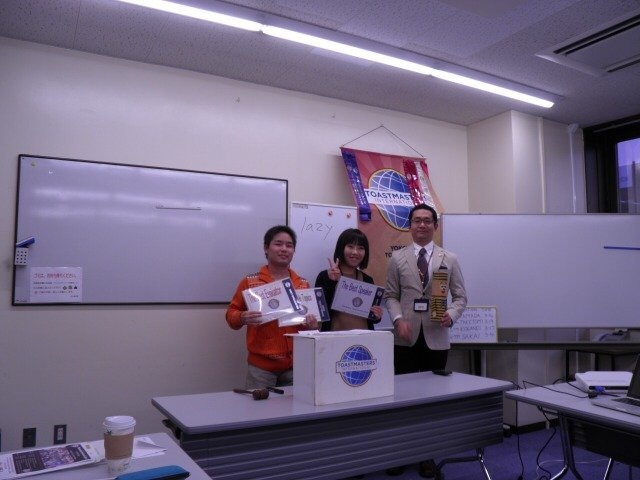 3 members gave their contest speech in this session. After that we have feedback session for the contestants. TM M.F, today’s GE, managed feedback session. All members can evaluate them. It was a very good session to better contest speeches. It is very important not only contest speech but also prepared speech. If you enjoy giving your speech, audiences also enjoy your speech!! It is your turn during your speech!! So let’s enjoy your speech in YTMC meeting!! 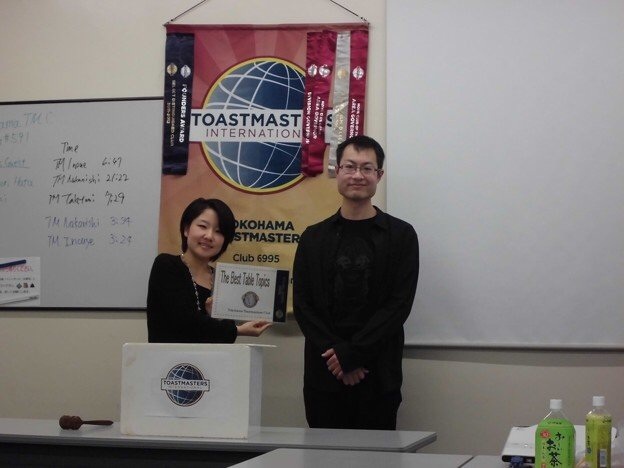 January 17th #588 Regular Meeting Report Regular Meeting Report Our 588th regular meeting was held on January 17th 2015. We came back to our home ground “Hatoba Kaikan” after a big renovation! 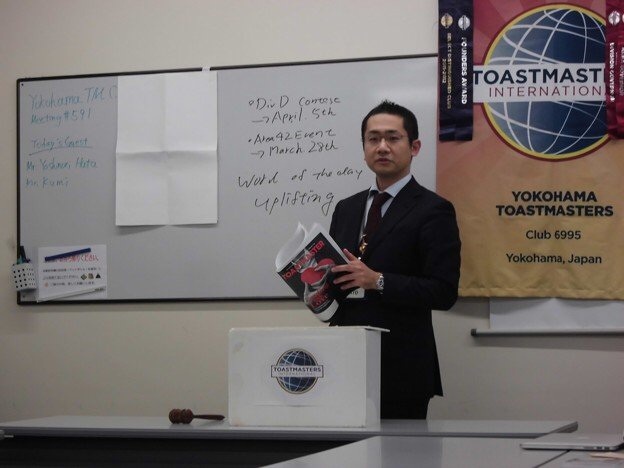 It was a special occasion for me to perform as Toastmaster of the Day (TMOD) because I first visited Yokohama Toastmasters Club just 6 years ago! I brought the agenda of January 17th 2009 479th meeting to introduce OB/OG members in the good old days. Small tips session and Table Topic session was held at the beginning. 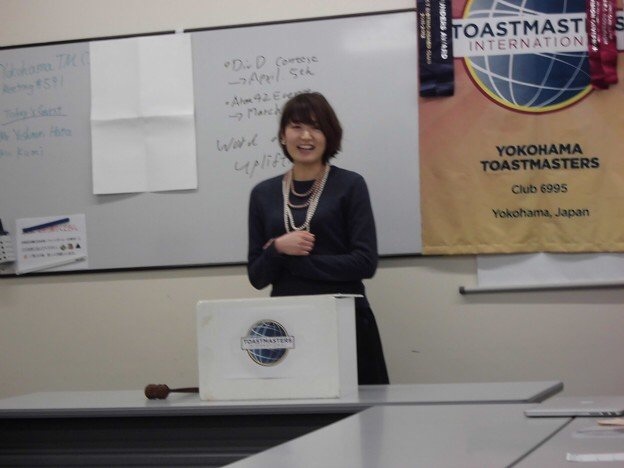 I hope members learned some useful ideas of making good impromptu speeches (①Listen→②Pause→③Confirm→④Tell →⑤End). 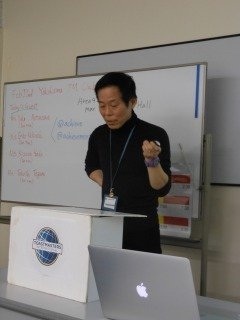 4 members made speeches in the Prepared Speech session. Since the meeting was held in January, their topics were seasonal (holidays in Malaysia, the 7 Gods of Good Fortune). Also, some members made freshman / good leader’s resolutions. 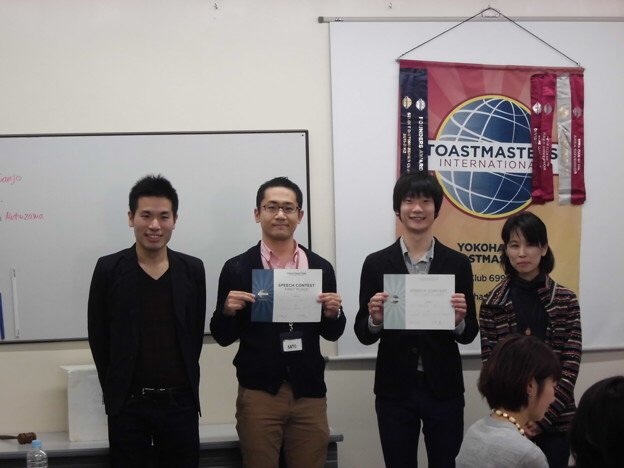 4 well-experienced Toastmasters performed as Evaluator. They all encouraged 4 speakers by giving wonderful feedback. And finally, the session was concluded by Evaluation Session Master (General Evaluator). I always like her style of making through but crisp comments, especially the way she made fun with my past involvement:-) It was a fruitful meeting as usual. I hope members enjoy great meetings in Hatoba Kaikan as well as I do! The 589 YTMC regular meeting was held on February 7th(Saturday), 2015. We had 17 YTMC members, 7 other TMC member and 1 pure guests. So the number of participants was 25 who came together to enjoy “In-house international speech contest, one of the important annual event for our club. 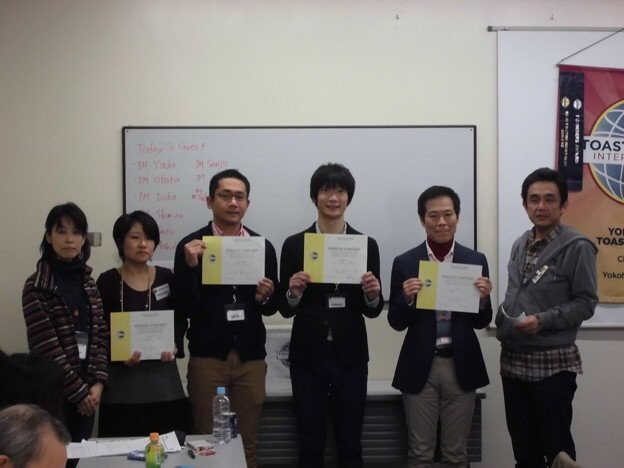 As the contest chair, I was so happy to hold such a thrilled contest in which 6 contestants presented each four speeches in English and Japanese. For handling it, I was supported by many members of other clubs, as timers, counters and judges. I would like to show my appreciation for the support. In total, we had eight speeches! All contestants brought laughter to all audiences a lot, even though they seriously competed. Therefore, the time had gone so quickly even if the meeting was thirty minutes longer than usual. 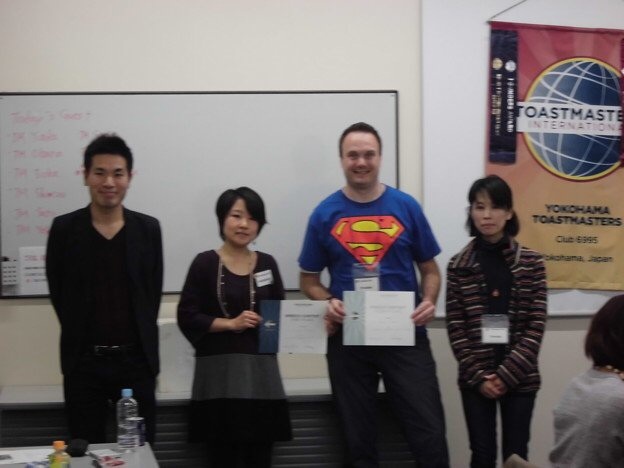 Each two winners for English and Japanese speech contest will advance to the next stage, Area 42 contest, on March 1st . For the day, the four representatives will polish their speeches by themselves as well as by fellow members. Such a process was not only tough but also fruitful.